Part of the Eastern Star Railway, these steam engines are the only way for Animal Kingdom visitors to make their way out to Rafiki's Planet Watch. As a bonus the ride out there gives some quick views of offstage areas including holding pens for various animals. 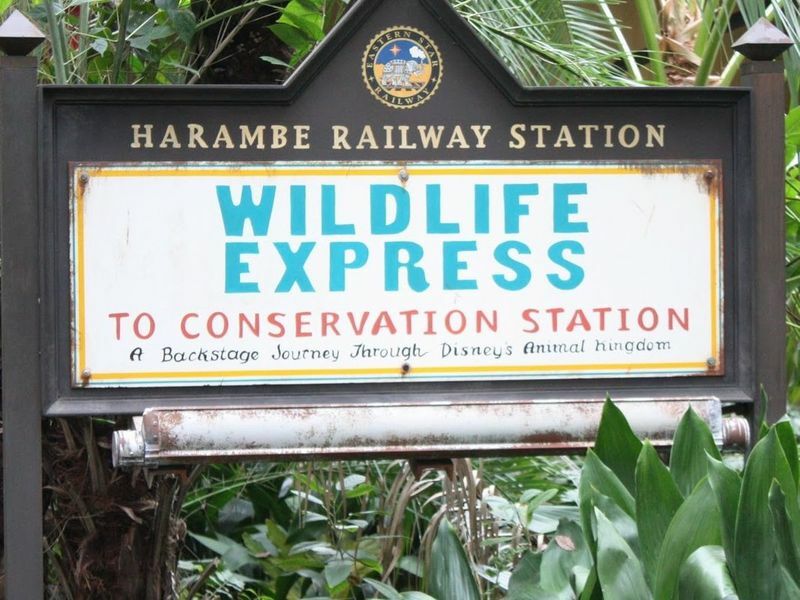 Location: To take the take out to Rafiki's Planet Watch find the depot in Africa, to the right of Kilimanjaro Safaris but before the Pangani Forest Exploration Trail. # of Ride Units: 2 five-car trains (there are three engines so that one can be out of service). Ride Capacity: 250 people per train. Wait Times: Trains leave every 7 minutes or so and it would be uncommon to wait for more than one train. Queue Description: A themed train depot. Ride Access: Enter through the standard queue, once on the boarding platform a cast member will provide instructions. Other Issues: Children must remain seated in their own place and not on laps.